The 2017 Nissan NV Cargo and NV passenger vans are designed to tackle big projects in the most efficient manner possible. Although they lack the turbodiesel engines offered in the Ford Transit and Dodge ProMaster, there is no getting around the pulling power of the NV's big new V8 engine. Overall comfort in a powerful cargo van. We just purchased the nv2500 to use as our mobile home. We love the power it has, and the fact that it is built on a truck chassis. It is the best of both worlds. A truck and a van. The cab seats are the most comfortable out of all the baseline cargo vans on the market. 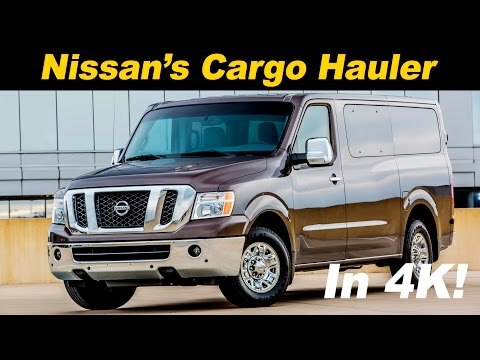 Because the van is modeled after the Nissan titan truck body, there is more leg room for both the driver and passenger. I am 5’6” and my husband is 5’10”, but I am the one with the super long legs and I have plenty of room to stretch out without touching the front of the leg space. I do struggle to see past the windshield wipers when driving without sitting straight as a board and leaning way forward, but then again I have a short torso. Hubby has longer torso with short legs, and has no problem seeing the nose of the truck driving. Overall, we have been extremely happy with our purchase so far. It can comfortably accommodate a large family and still have room for cargo. I like that the vehicle has plenty of room for my large family. I do not like that Nissan designed a horrible AC for the passenger section of the van and will not take responsibility for it. There is also a transmission issue that they will not resolve. It drives like a truck, but has lots of room to carry things around town. We have had our van for a little over a year, and we love it. It makes taking trips so much nicer and easier since we have five children and everyone can spread out. We can also fit lots of stuff in it.